This season your look gets better definition with just a little attention to detail. 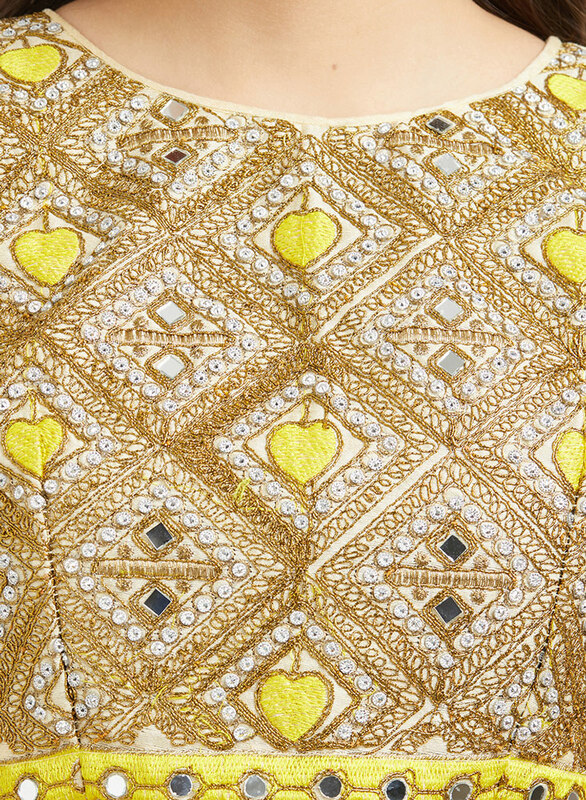 Be the sunshine of everybody’s eyes dressed with this exotic yellow-white lehenga choli with koti. 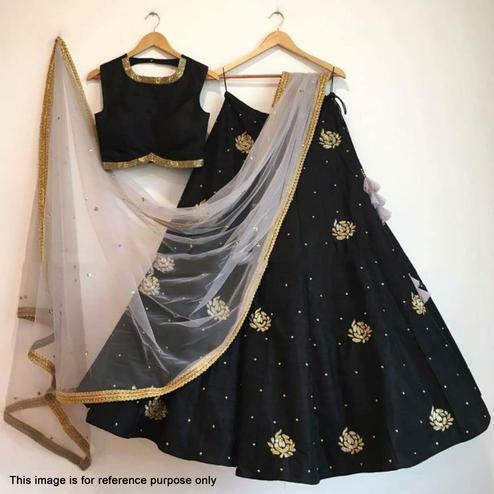 The lehenga is fabricated on georgette and choli is made of banglori silk with embroidery work. 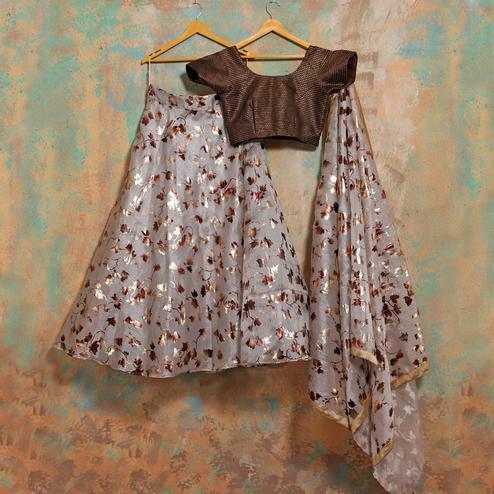 The koti is made of georgette fabric with embroidery work that gives a flawless look. 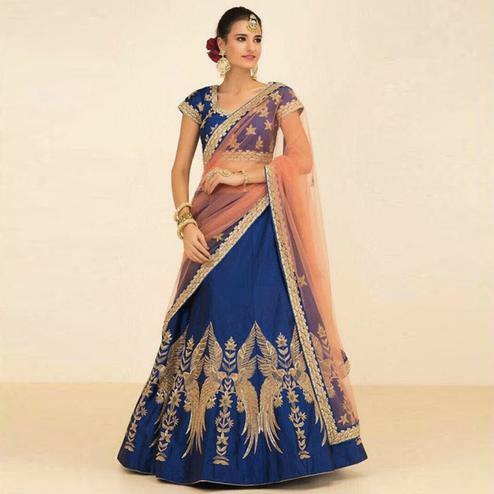 Specially designed to wear for parties, wedding functions, engagement ceremonies and special occasions. Teaming this attire with classy jewelry would be an added attraction.